The University of Scranton Department of Communication and Media will host the inaugural Social and Digital Media Conference on April 30. The free conference is open to high school students and professionals. 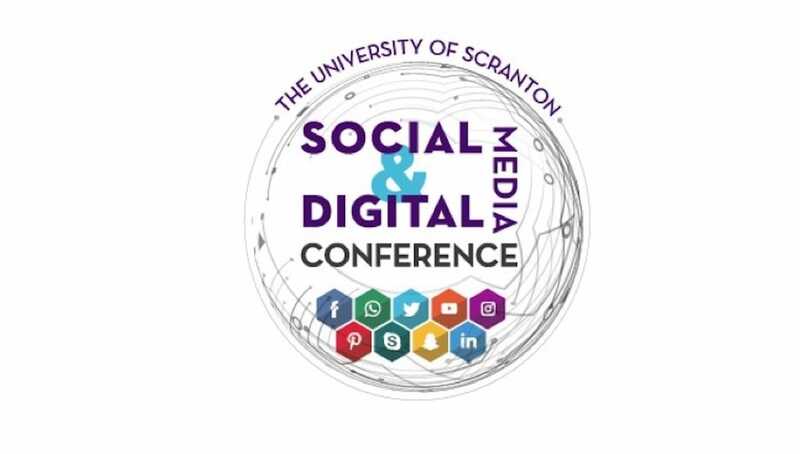 On April 30, The University of Scranton will host its inaugural Social and Digital Media Conference. This innovative conference aims to educate regional high school students and professionals about developments in digital and social media. Interactive discussions will be led by experts, influencers and industry leaders. The conference will teach participants about strategic management of social media platforms, artificial intelligence and analytics, content creation and marketing, the role of influencers, video creation for businesses, LinkedIn for professionals, upcoming technologies, user engagement and crowdsourcing, non-profit and advocacy, and more. Seating is limited. High school students and communication professionals are encouraged to reserve their spot. This free conference will be held in the McIlhenny Ballroom of the DeNaples Center on the University’s campus from 9 a.m. to 2:45 p.m.
Campus tours and lunch will be included. The conference is offered by the Department of Communication and Media of the University’s College of Arts and Sciences. The University offers both a major and minor in social media strategies. For more information and to register for this event, visit ussdmc.com. Contact ussdmc@scranton.edu with any questions.